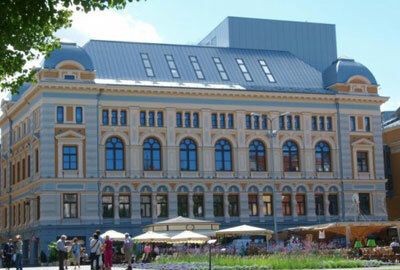 First time in Latvia, portfolio La Divine Comédie by Salvador Dali, is now in The Mikhail Chekhov Riga Russian Theatre and this exhibitions is realized in partnership with Collection Kesauri. 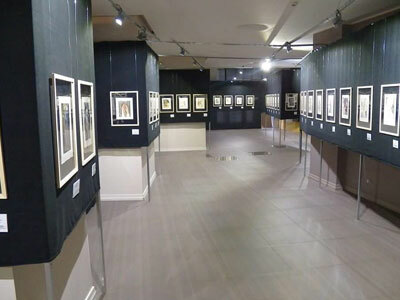 Exhibition is open from 10/07/2015 to 20/09/2015 and is featuring 102 original works of greatest master of our time. 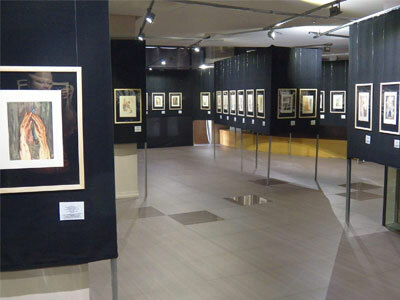 The exhibition "La Divine Comedie" is composed by exhibits from Collection Kesauri of original works made by Salvador Dali. There are 100 original xylographs and two original serigraphs on silk as well as the certificate of authenticity from the manufacturer's lithographs. In 1950, at the request of Libreria dello Stato in Rome, Salvador Dali undertakes to paint 100 watercolors illustrating 100 songs from the Divine Comedy of Dante. In 1951, some watercolors are exposed in Rome. While the Master's work is continuing, the Italian government finally has decided that Dante's work must be illustrated by an Italian painter. The contract between the Libreria dello Stato and Salvador Dali has been cancelled and the painter recover ownership of his work. By his own initiative, Salvador Dali decided to finish all the suite. The work continued from 1950 to 1959. In July 1959, Les Heures Claires buy exclusivity and all copyrights: suite is carefully engraved and printed together under the leadership of Jean Estrade. This work will be considered as one of the most significant of the 20 century. The selection of colors, engraving of 3500 woodplates, which were necessary for the creation of 100 xylographs, took four years, or 55 months of continuous work by a group of best specialists in presence and continuous assessment of the Master (April 1959 - November 1963). The aim of the exhibition is to help the public to see and understand how Dali materializes his views thanks to his special artistic language in the form of images, which often take an intangible aspect, but clearly are felt by spectator. 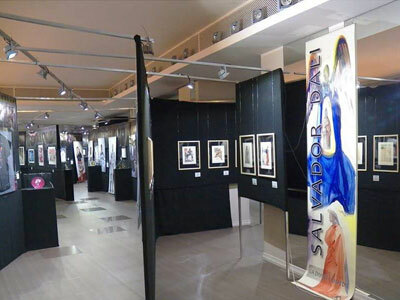 The exhibited works demonstrate Dali’s creative side his amazing imagination. To understand Dali, we should put the fundamental principle that he was an intellectual artist. His painting is primarily to illustrate his theories and ideas. It was important for him to represent not what we see, but what we feel or think, probably without realizing it. - Les Heures Claires 1959-1963, Paris, 1959. - References: Field p. 189-200 / Michlerand Lopsinger 1039 to 1138.